This property has sold, thank you for your interest. Brilliant Home and Business Complex. House, land and buildings on offer here. Zoned residential A this 2.3155 ha (more or less) has plenty of upside here. 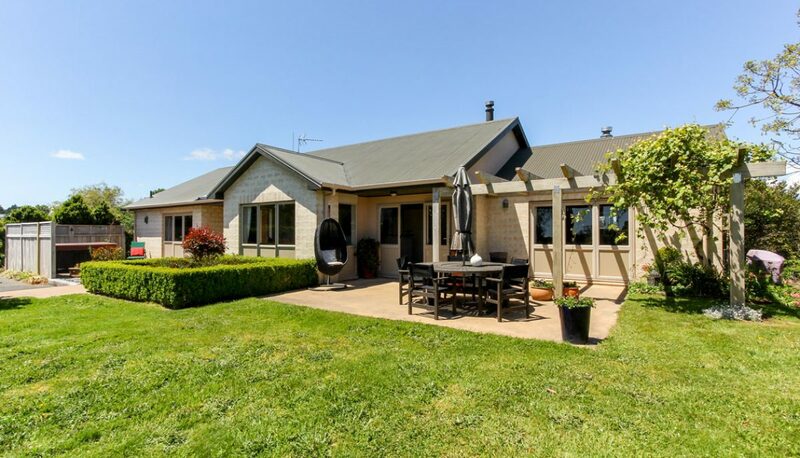 Well-appointed 230sqm family home. Commodious with neutral tones throughout, open plan kitchen, dining and family room. Separate lounge with doors leading out to well-appointed outdoor living areas and lush front lawn. Three bedrooms, master with en suite, office and teenagers area. Standalone garage with sleep out option with kitchenette or ideal work from home space. The shed space on offer is a commanding 300sqm approx., built in 2010, 3 bay workshop, double glazed with an air-conditioned offices, plus kitchen. Loads of off street parking. The land is flat to rolling and is suitable for grazing or horses.